An American pop-rock boy band, the Jonas Brothers gained their popularity from the Disney Channel children's television network. Hailing from Wyckoff, New Jersey, the band consists of three brothers: Kevin Jonas, Joe Jonas, and Nick Jonas. In the summer of 2008, they starred in the Disney Channel Original Movie Camp Rock. 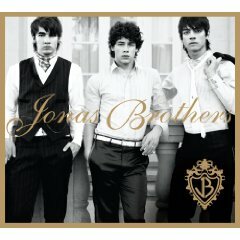 They have released three albums: It's About Time (2006), Jonas Brothers (2007), and A Little Bit Longer (2008). Throughout 2005, the Jonas Brothers had gone on several tours, opening for various artists including, Kelly Clarkson, Jesse McCartney, the Backstreet Boys, and The Click Five. In 2008, the group was nominated for the Best New Artist award at the 51st Grammy Awards and won the award for Breakthrough Artist at the American Music Awards. The brothers say their writing reveals a lifetime of influences - everything from My Chemical Romance to the Backstreet Boys to Weird Al Yankovic (with whom the band recently shared the stage at New Jersey’s Bamboozle festival). 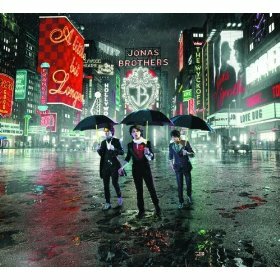 Still, what you really hear on The Jonas Brothers is the sound of three young musicians finding their own voice—their own distinctive blend of Nick’s way with an R&B vocal, Joe’s love of danceable beats and Kevin’s obsession with guitar solos. The band was featured on the July 2008 issue of Rolling Stone Magazine and became the youngest band to be on the cover of the magazine. 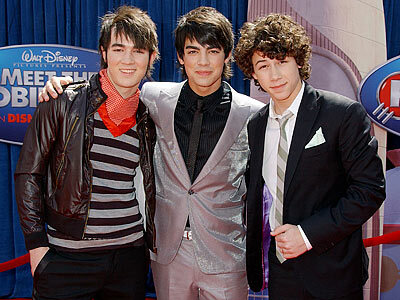 In December 2008, the Jonas Brothers were nominated for the Best New Artist award at the 51st Grammy Awards. 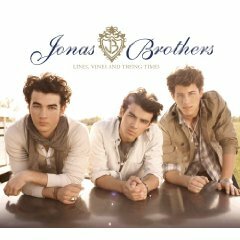 On March 11, 2009, the Jonas Brothers announced that their fourth studio album, Lines, Vines and Trying Times, will be released on June 15, 2009. In an interview with Rolling Stone, the Jonas Brothers announced that Lines, Vines and Trying Times is the tentative title for the Jonas Brothers fourth studio album. Nick said in the interview that, "Lines are something that someone feeds you, vines are the things that get in the way, and trying times, well, that's obvious." The brothers tell fans to expect more ultra-catchy pop like the new song "Poison Ivy", a Weezer-ish tune about a toxic girl you can't resist. Nick Jonas told Billboard: 'We're trying to learn as much as we can, continuing to grow." Kevin added: "The overall message is its the same old Jonas Brothers, in a sense, but we're adding more and more music, including different musical instruments that are going to add and build to the sound we already have." Nick also said the songs on the album are "our journal in songs, about all things we've gone through, personal experiences we get inspiration from. We've also been working on trying to use metaphors... to kind of mask a literal thing that happens to us."